As good as Xeon chips might be for lots of things, Intel obviously believes that it needs some other silicon: the chip giant bought privately held networking ASIC maker Fulcrum Microsystems on Tuesday. Intel has made no secret of the fact that it wants to expand its Xeon line of server processors out into storage arrays and networking gear to keep the money rolling in and drive chip competitors out of the data center. But Xeons can't go where Fulcrum's low-powered offerings go. Fulcrum Microsystems was founded in late 1999 – under the different name of Asynchronous Digital Design – by Uri Cummings and Andrew Lines, researchers at the California Institute of Technology. The duo wanted to commercialize the nearly two decades of work that they and their professor, Alain Martin, had done to come up with clockless, low-power, high-bandwidth chips for managing switched communications. The company, which is based in Calabasas, California, still has Lines working as vice president of research and development and Cummings as chief technology officer – and now they're both working for Intel headman Paul Otellini. Fulcrum delivered its PivotPoint ASICs in 2004, and has been ramping up the speed and lowering the latency of its switch chips since then. Most famously, Arista Networks, the 10 Gigabit Ethernet switch company started by Sun Microsystems cofounder Andy Bechtolsheim, uses Fulcrum ASICs at the heart of its switches. Others do, too, but they don't like to talk about it publicly. Intel actually trotted out Bechtolsheim in its statement announcing the acquisition. "Fulcrum Microsystems has architecture capabilities ideal for low-latency applications," Bechtolsheim said, "and we are excited about the future possibilities of this technology as Fulcrum is acquired by Intel, the world’s largest semiconductor manufacturer." The FocalPoint chips also have Fulcrum's own RapidArray packet-based SRAM memory and its FlexPipe frame processing pipeline. All of these technologies are interesting for a PC and system chipmaker like Intel with its eye on integrating networking onto its chips. The PivotPoint chips from Fulcrum, which virtualize the connections between chips used in a wide variety of devices, are probably also something Intel was interested in for various uses. 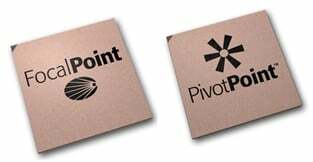 The PivotPoint chips can be used to create configurable, high-speed links between CPUs, custom ASICs, coprocessors, and FPGAs. Fulcrum also puts out reference designs for its networking customers to monkey around with, but that's not a moneymaker. The networking chipmaker has burned a mountain of venture capital in the past decade: $5m in a first round in 2000, followed by $16m in a second round in 2001. The company got $20m in a third round in 2005, $16.8m in the fourth in 2007, and $29.2m in the fifth in 2008. Fulcrum lived by its sales and wits during the Great Recession, but brought in another $15m in unattributed funding in March 2010. That's a haul of $102m, which is a lot of venture capital.